Two New Kitchens with granite counter tops. Beautiful tree lined block. 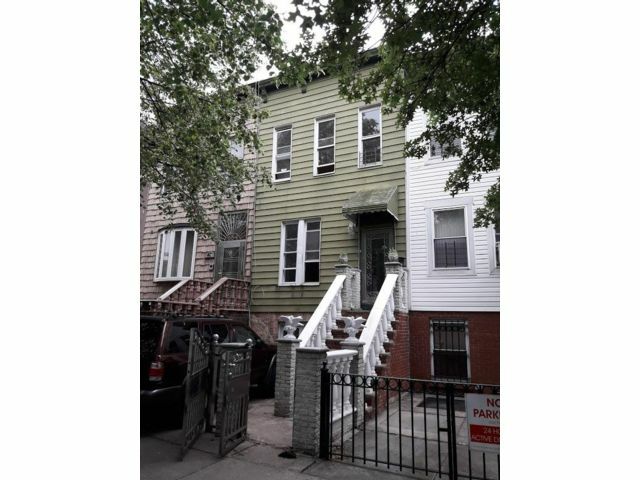 Large 3 Bedroom, 3 Bath Owner’s Triplex with finished cellar. Third floor is a large one bedroom rental.. VACANT. Oversized 20’ x 14’ Master Bedroom on first floor. Over 2,500 Sq.Ft. One of a Kind, will NOT Last. ONE Block from Ralph Ave. C & A Station. Off Atlantic Avenue.